Most of you know how I feel about Facebook. I felt that way even before I was purged by them and was never given a reason for it. Under antitrust laws, they should be broken up and steps should be taken to ensure social media platforms do not censor free speech. Things are heating up here in the United States concerning Facebook and they may fall quicker than anyone realizes in the end. But for now, the Brits are leading the way. In a surprise move, parliament has just used its legal powers to seize internal Facebook documents. They include private emails from CEO Mark Zuckerberg. The UK wants to hold Facebook accountable for violating the privacy of individuals. Just as in the US when Zuckerberg refused to answer Senator Ted Cruz, Zuckerberg repeatedly refused to answer questions put to him by parliament. These documents purportedly contain significant revelations about Facebook decisions on data and privacy controls that led to the Cambridge Analytica scandal. It is also alleged that they include confidential emails between senior executives and correspondence with Zuckerberg. Oh, I hope so. Facebook needs to be exposed for all the dirty, underhanded evil moves they’ve made over the last fourteen years. The Brits obviously don’t adhere to our constitutional right of free speech, but they have a thing about privacy. I’ll take what I can get. Meanwhile, Zuckerberg is lawyering up here in the United States with the most expensive liberal lawyers he can buy. He knows that we are coming for him. Facebook has lost more than $100 billion in value since last March. I don’t see it getting better for them either. Their tumble started when it was exposed that Cambridge Analytica had harvested data from 87 million US users without their knowledge or consent. They face another potential PR crisis now. It is believed the documents will lay out how user data decisions were made in the years before the Cambridge Analytica breach, including what Zuckerberg and senior executives knew. In the Brits’ search to find out more about ‘fake news’, they have repeatedly tried to summon Zuckerberg to explain the company’s actions. He has arrogantly refused. Zuckerberg is now 34. Facebook is fourteen years old and he has become a very wealthy, powerful young man. He’s also a Marxist who deeply admires George Soros. Absolute power such as his corrupts absolutely. Zuckerberg’s refusal to testify, plus misleading testimony from an executive at a hearing in February, has forced MPs to explore other options for gathering information about Facebook operations. The files are subject to an order of a Californian superior court, so cannot be shared or made public, at risk of being found in contempt of court. Because the MPs’ summons was issued in London where parliament has jurisdiction, it is understood the company founder, although a US citizen, had no choice but to comply. It is understood that Six4Three has informed both the court in California and Facebook’s lawyers. Facebook lacks jurisdiction in Britain and they will not legally be able to prevent publication of the documents. 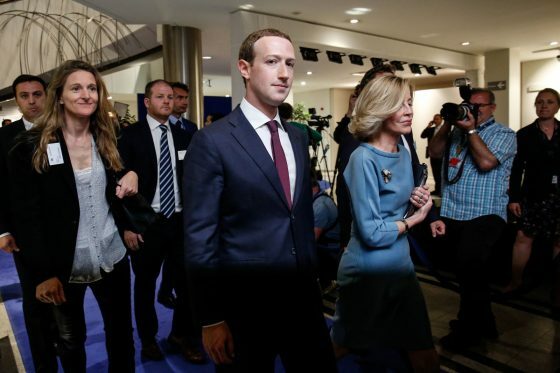 UK, Canada, Ireland, Argentina, Brazil, Singapore, and Latvia will all have representatives joining what looks set to be a high-stakes encounter between Facebook and politicians. I devoutly hope that the US will have representation there as well to go after Facebook. Not only is Facebook censoring conservatives and purging them because of their political views, they are also working with Twitter and other social media platforms to ban people from having a voice. Facebook CEO Mark Zuckerberg also allegedly devised a scheme that forced Facebook’s rivals, or potential rivals, out of business. “We allege that Facebook itself is the biggest violator of data misuse in the history of the software industry,” Ted Kramer, the owner of Six4Three, the company suing Facebook, told CNN in an interview this summer. Kramer told CNN he wants the US Federal Trade Commission (FTC) and attorneys general across the United States to investigate the allegations Six4Three is making. Six4Three, which has been engaged in a yearslong legal battle with Facebook, were the makers of “Pinkini,” a controversial app that allowed users to find pictures of their friends wearing bikinis. The app did not breach Facebook’s terms and conditions when it was released in 2013. But in 2015 Facebook changed its policies about how it shared information about its users with third-party app developers such as those behind Pinkini. Prior to the change, Pinkini and other app developers were able to access information not only about their users but also about their users’ Facebook friends, including users’ friends’ photos. When Facebook restricted access to friend data, it destroyed Pinkini’s businesses, Six4Three alleges. While I may find the Pinkini app repulsive, I find it ironic that this company may be what takes Facebook down. Zuckerberg has destroyed many legitimate conservative businesses because he doesn’t like their political views. It’s not just news sites… it’s personal sites and regular business sites that he put out of business overnight with no regard for these people making a living or having a voice. They didn’t violate any community standards and yet were silenced because Facebook didn’t like their point of view and enjoys playing at being a social media god. I sincerely hope these documents are made public. Facebook users have a right to know what is at stake here and considering Facebook’s actions, they should be compelled to divulge their communications since they have affected millions and their livelihoods.